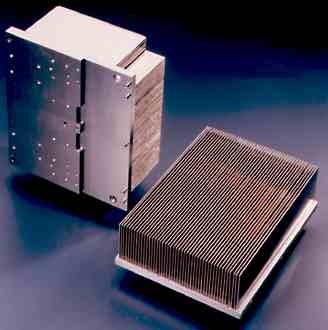 We specialize in Heat Sinks for medium to high-power applications. We understand that designers are constantly being asked to use more power in a smaller footprint at no additional cost. 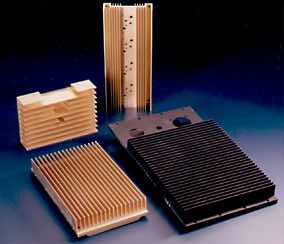 Our heat sink designs are custom engineered to your specific needs. Our have experienced thermal and mechanical engineers work with you to bring your designs from concept to production. We use the latest thermal simulation software in conjunction with highly sensitive thermal test equipment to provide accurate data speeding your product to market. Bonded fin heat sinks allow a smaller package size or lower thermal resistance than conventional aluminum extrusions in forced air applications. We offer signal fin, and corrugated fin options for our bonded fin heat sinks. Some versions of our corrugated fin stock have an off set providing greater turbulence resulting in larger heat transfer. 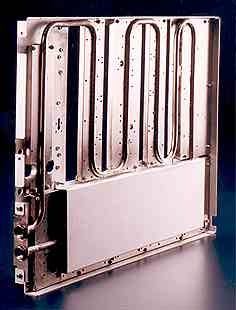 It is normally possible to dissipate two to three times more heat than conventional aluminum extrusions with our bonded fin designs. 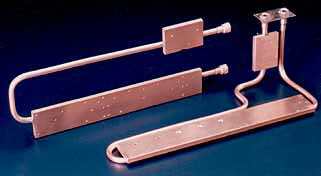 In applications where space and high thermal density is a problem, copper bonded versions are available. Copper has a thermal conductivity twice that of aluminum. The fin density and fin height on both can be used in countless combinations. We can provide you with the best possible value, based on your unique application. Extrusions used in a forced air system are the most common heat sinking method. When compared to a natural convection system substantially better performance can be realized. It is important understand too that most "as purchased" extrusion heat sinks are not sufficiently flat and require machining. Our heat sinks typically come with a 0.001 per inch flatness and surface finish of 64 micro inches over the area required. We are constantly working to improve our fin aspect ratios and fin densities. 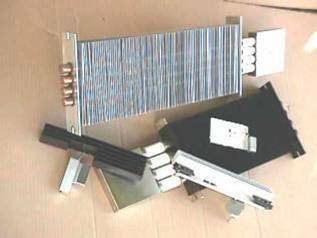 We continually produce heat sink extrusions that other manufacturers said "were not possible". 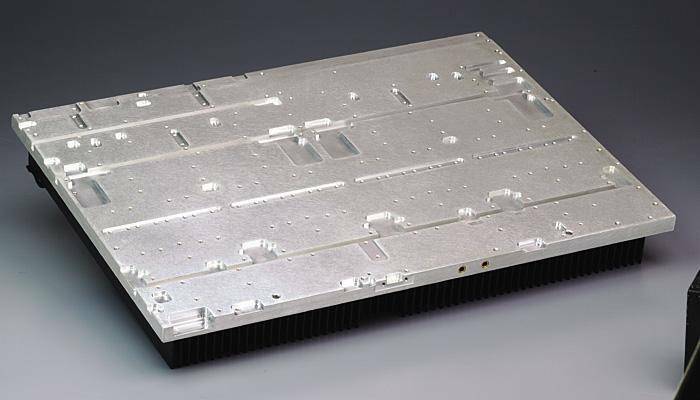 For the finest in extruded air-cooled heat sinks let us assist you with your extrusion design. We will provide a cost effective solution for your cooling needs. Liquid cooled heat sinks provide the highest thermal performance per unit volume and when optimally designed can exhibit a very low thermal resistance. 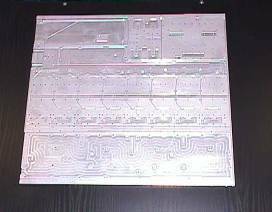 Liquid heat sinks can be constructed by soldering copper tubing on to a flat copper plate or by drilling holes in a metal block through which water may pass. 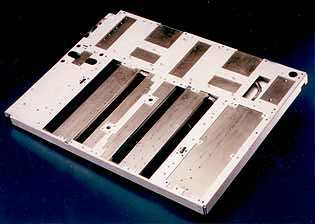 With greater complexity and greater thermal performance an elaborate serpentine water channel may be milled in a copper or aluminum block that later is sealed off. While liquid cooling may be considered undesirable and /or unsatisfactory for many applications it may be the only viable approach in specific situations. Liquid cooling, in addition to being compact, keeps noise to a minimum and can increase semiconductor life due to reduced temperatures. We can also provide chiller units for complete cooling systems. 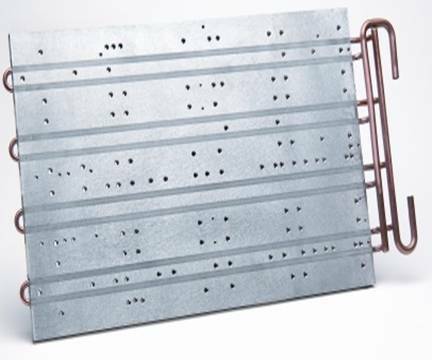 Sizes of these plates range from a few centimeters to slightly more than 2 meters. 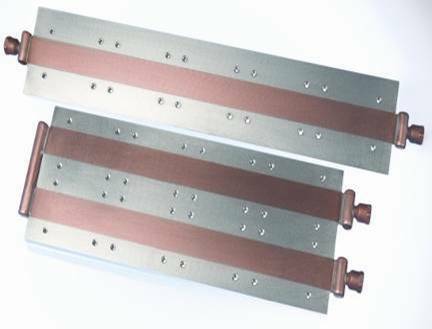 For maximum power heat transfer we offer Powder Type heat pipes. These come in standard lengths from 150 to 300 mm. Tube diameters range from 2 to 8 mm with maximum power capacity of 45 watts. •	The best for heat transfer. •	Easy for bending and flatten. The above drawing depicts basic heat pipe construction and theory of operation. In general a heat pipe consists of a sealed usually aluminum or copper tube, a wicking structure and a few cc’s of fluid under pressure. 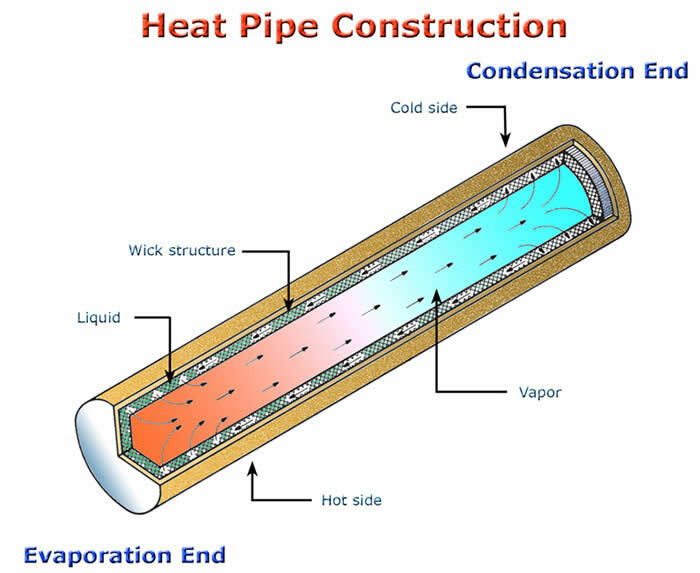 When heat is applied to a point along the length of the heat pipe the liquid at that point will boil into a vapor. By boiling, the liquid extracts heat through vaporization (turning into a gas). As a gas, this vapor travels to the cold side of the heat pipe and condenses back into a fluid. This fluid then moves back through the wicking structure and the process is repeated. Typically it is advantageous to design a heat sink assembly that can reduce waste created by additional handling through secondary operations at your facility. We will work with you to design an assembly which can drop right into your product, reducing handling cost and potential damage. 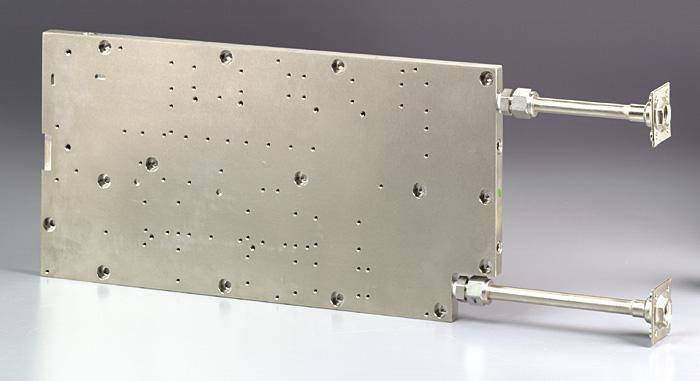 Items integrated into our heat sink assemblies include, Shielding such as EMI/RFI barrier walls, Hardware like standoffs and studs for mounting, Chassis and interface sheet metal. Also, we can provide you with an extensive variety of finishes which include plating, painting, and silk screening. We want to incorporate as much into the assemblies as possible so that when you take our assembly to the factory floor you can immediately interface it to the product for fast shipment to your customer. 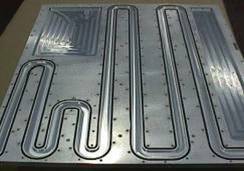 We will work with you on mechanical components in order to reduce your assembly time and inventory cost. Copyright © Hill Technical Sales 2005. All rights reserved.